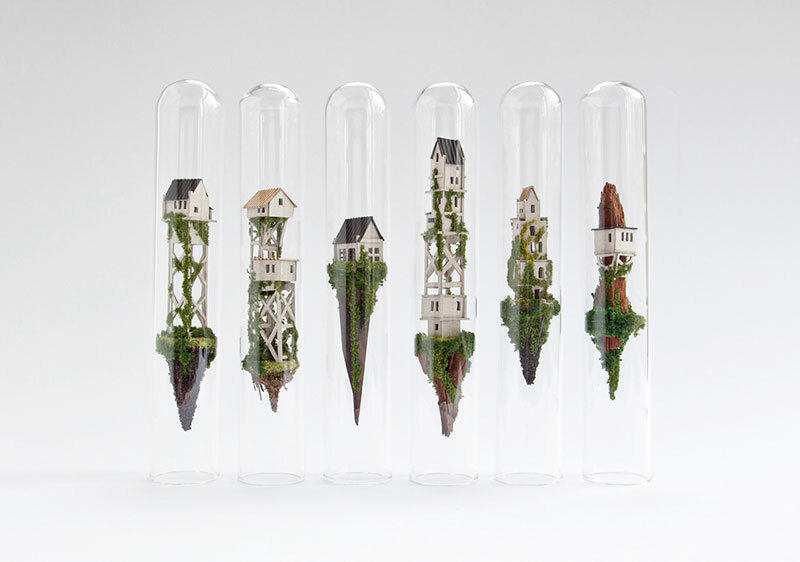 A new series of meticulously crafted buildings suspended inside test tubes by Amsterdam-based designer Rosa de Jong. Entitled Micro Matter, the miniatures are made out of cardboard, small rocks, tree branches, moss, paper, sand, bark, etc. The finished works are preserved in oversized glass test tubes which allows the viewer to explore the fascinating worlds de Jong has created. See more of Rosa de Jong's work on Behance or at her website. 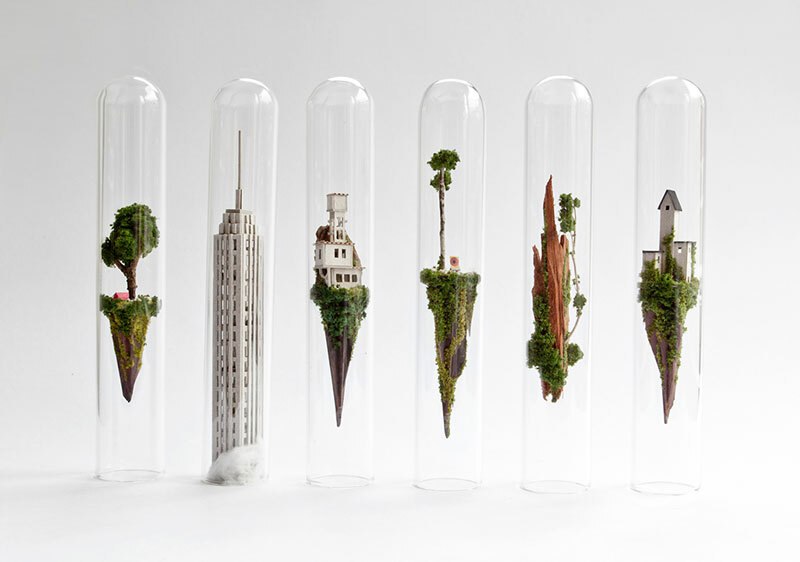 A new series of meticulously crafted buildings suspended inside test tubes by Amsterdam-based designer Rosa de Jong.